I received one of those extra excellent emails from RACC's Jeff Hawthorne today, indicating that they have changed the language of their upcoming project grants to specifically, "include curatorial projects." 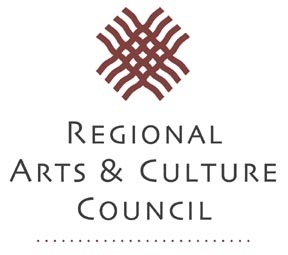 Here is the new language from the last page of RACC's 2013-14 Project Grant Guidelines: "Visual Art: Projects in which the creation and exhibition of visual art is the primary focus. Objects, installations, site-specific or gallery-oriented works of art within any area of the visual arts which fall outside of commercial viability, are best suited to this category. Special exhibitions, curatorial projects and/or special presentations which expand the context of traditional or contemporary works of art are equally suited to this category. All projects must have a clearly developed plan for a tri-county public component." This is a very important change and something we critiqued extensively last year as a shortcoming in citywide alternative space support. It is nice to know they are listening. Individuals and organizations both have until August 7th to submit their intent to apply. More info and application links here. You still have a few days to enter the Seattle Art Museum's $15,000 Betty Bowen Awards. What is interesting about the Betty Bowen is they generally try to recognize unrecognized artists who are doing noteworthy things and award smaller prizes to others as the panel sees fit. The deadline is August 1st. True, the $10 fee is a touch lame but it does get your work in front of some good eyes. More info here.